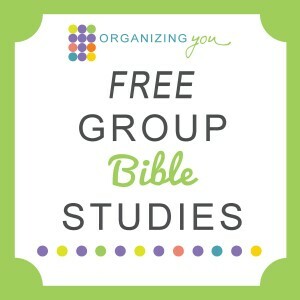 Join Us - Subscribe Today! 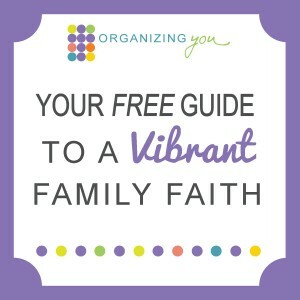 More Free Resources for You! But Mary kept all these things, and pondered them in her heart. 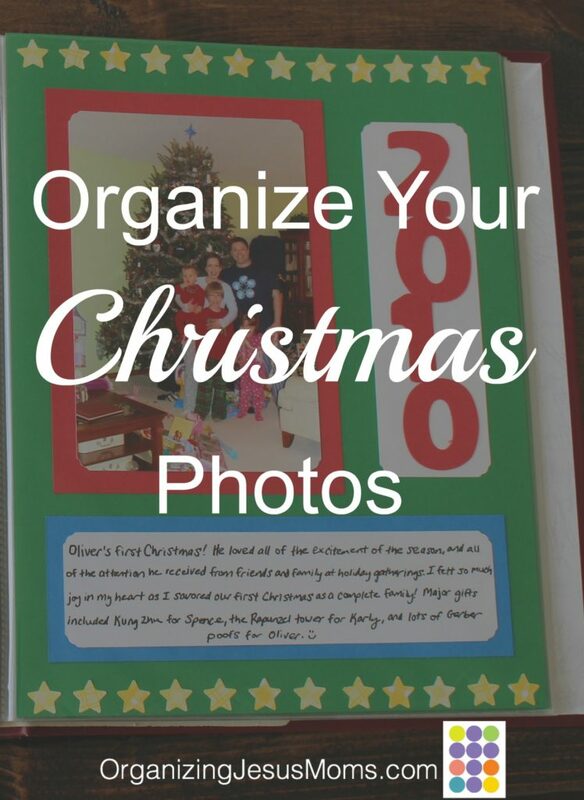 Welcome back to the Organizing Your Photos series, Christmas edition! Speaking of work, I know this is the Christmas season. Chance are that you’re not going to start a photo project, no matter how small it is. You have a lot to do right now, and I get that. 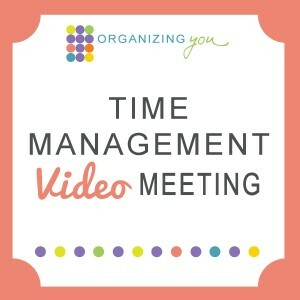 But now is the time to think about your project, and maybe even take a couple of photos to get ready! After just a teeny bit of prep, January and February will be the perfect months for this small project, one you can do inside by the warm glow of a fire (or, more realistically, in front of the TV in the evenings). Plan now, do then, enjoy the fruits of your labor next Christmas when you get out your decorations! If you’ve heard my Christmas Talk, you know that Luke 2:19 is one of my very favorite verses from the Christmas story. We are blessed, like Mary, to be able to ponder the miracle of Jesus, the blessings of Christmastime, and our memories of our children. That’s one of reasons I want to encourage you to make and enjoy a Christmas album. Christmas albums can be very simple. 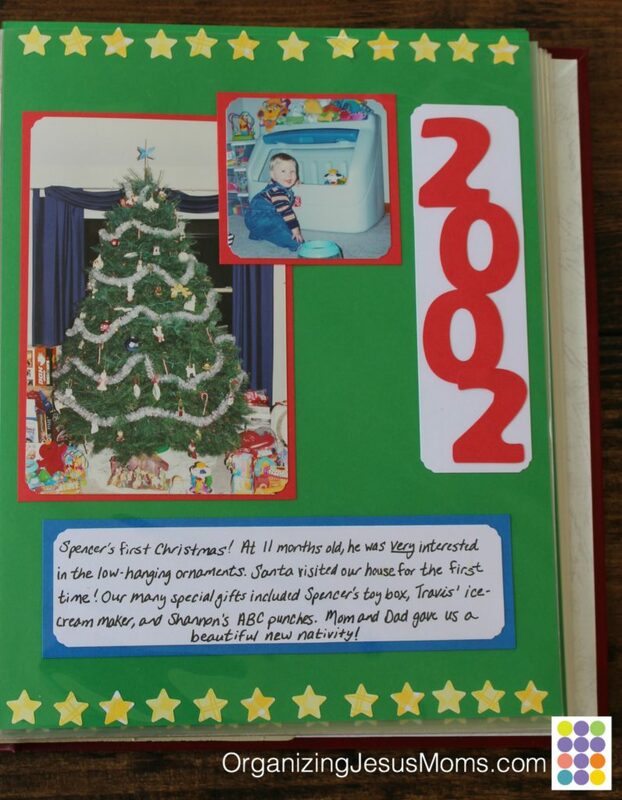 You can put one (or more) pictures from each Christmas in a simple photo album. If you use photo corners and write the dates with a pretty pin, and you’ll have a fantastic As-They-Grow album to enjoy each Christmas. I like to dress it up a bit, in a similar fashion to the Portrait Albums I showed in the last “Organize Your Photos” post. Each year I take a photo of us in front of the tree (after present opening, so we can see some of the gifts!). Then I add that picture to our 8 1/2 by 11″ Christmas album. The best thing about this album is being about to write about what made each Christmas special… like the Christmases when we were waiting on a baby to arrive (like in 2009, above), the babies’ first Christmases (like in 2010, above), and special gifts we received (like the Christmas of pets in 2013, below). This project requires that I give myself some grace. Is this a fancy Christmas album that will impress my guests? Nope. Are all the pictures good? Nope. Did we get a picture of us in front of the tree every year? Nope. See 2002. I blew it right at the beginning! It doesn’t matter. Again, we’re not going for perfection, we’re going for joy. Enjoyment. Memories. Blessings. Thankfulness to Jesus, Whose birthday we’re celebrating! Another Christmas album idea is to keep a record of ornaments. I have a terrible memory and I tend to forget where all of our various ornaments came from, or even which child made which ornament at school. So, I made an ornament album that’s complementary to our Christmas Tree Album. Each year, I snap a quick picture of the new ornaments while they’re still on the tree. Then I place the photos in the album and add a sentence or two about where they came from. 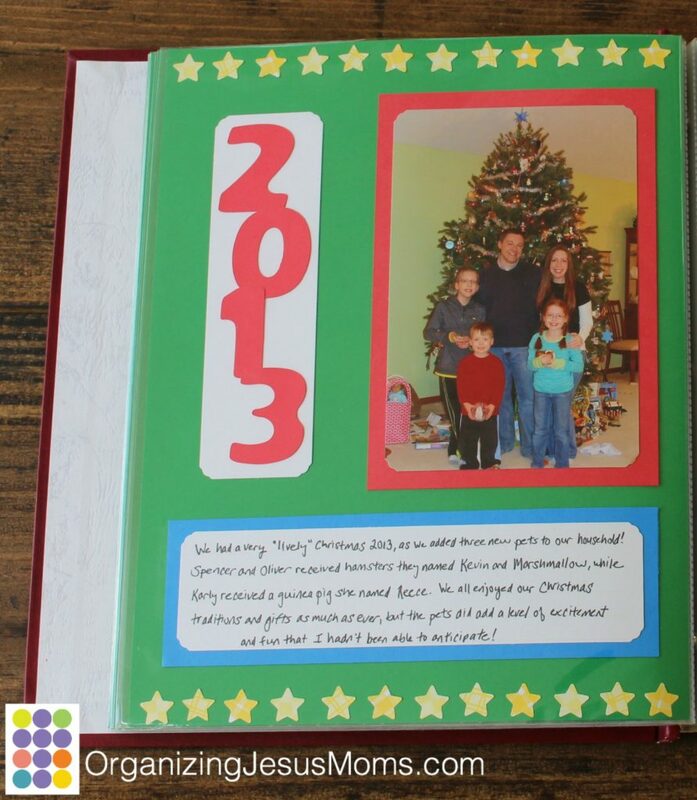 You can make this into a very simple Interest Album by using a small photo album and tucking the photos inside. 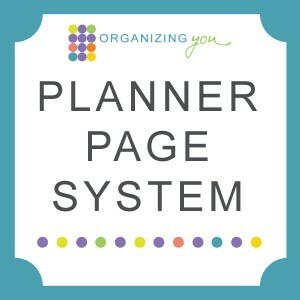 If you’re a big scrapbooker, you can definitely go fancier than what I did. 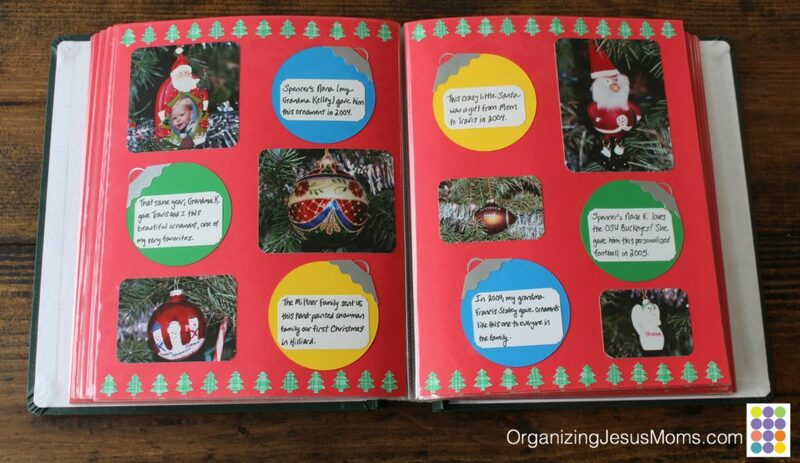 You can add even simpler journaling (like “Gift from Mom,” “From Disney Vacation 2017,” “Spencer, 1st grade.”) If you enjoy journalling, you could write big descriptions in a smash journal and add small photos or even drawings of the ornaments. Whatever you’d like to do! Not only is the amount of work flexible, the topic is, too. Do what you love. Instead of ornaments, you could make an album of Christmas decorations (my sister has a beautiful collection of nativities that come to mind—what a lovely album they would make!). You could make a recipe album with pictures of your favorite cookies (and you and your kids making them). 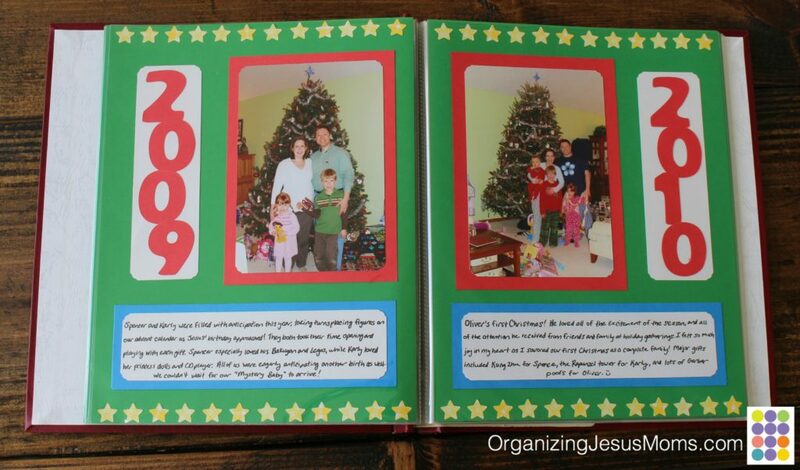 Rather than a picture in front of the tree, you could take a picture of your family at church each year. 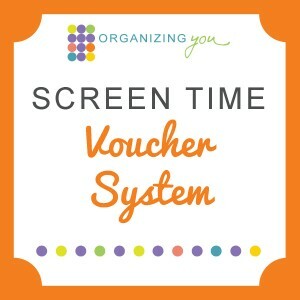 You can make this as simple, or as thorough, as you’d like. You can go back through your phone or social media, honing in on Decembers and sending some photos to print. Or you can simply start with now. The years stretch ahead of you, and you’ll be making plenty of memories you want to cherish. If you’d like to make a Christmas album, decide what kind sounds the most fun (and the most reasonable) to you. Select a few applicable photos from the past if you’d like. If there are any photos you’d like to take this year (for example, photos of your ornaments as they hang on the tree), add that to your December to-do list. Print the photos and choose an album. Then, this winter, sit down with a warm cup of hot chocolate to create the album. Enjoy the photos, the task itself, its successful completion, and the memories. When next January rolls around, you’ll only have to add one page… but you will have enjoyed your Christmas album throughout the holiday season! 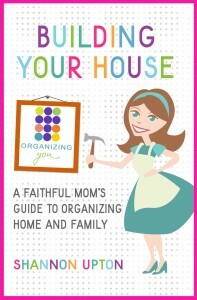 For more easy organizing ideas, check out my books, Organizing You and Building Your House. 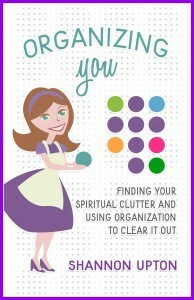 Thank You for Supporting Our Ministry!